Bring rough athletic fields back to shape quickly with The Drag King with Scarifier. 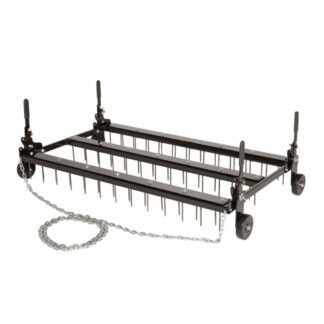 Combines the grooming capabilities of conventional hand pulled mat with the field conditioning capabilities of a tractor pulled unit. 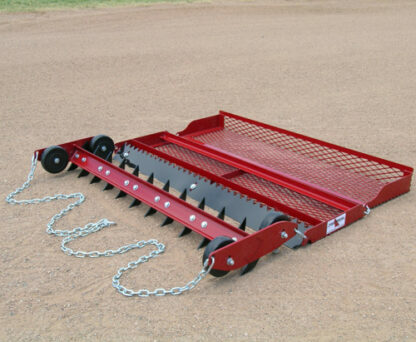 Costs thousands of dollars less than conventional hand pulled equipment. 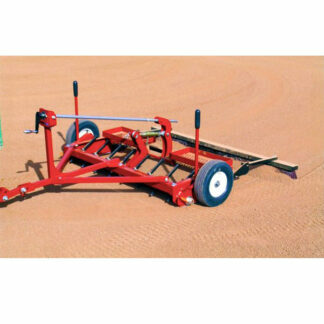 Scarifier Section pulled with a standard lawn or garden tractor. 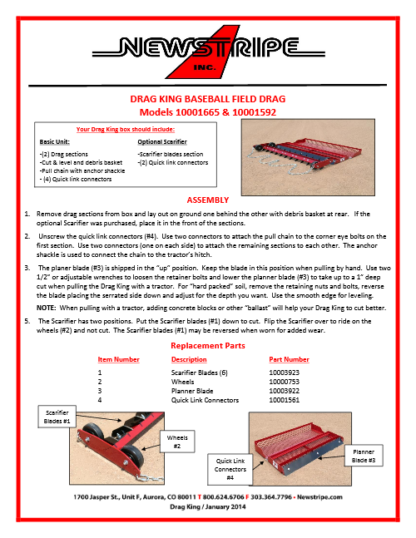 The Drag King with Scarifier features a fixed 1 inch depth on the scarifier teeth and reversible scarifier/planing blades on center section that adjust to a 1 inch maximum cutting depth. Quality built in the USA !